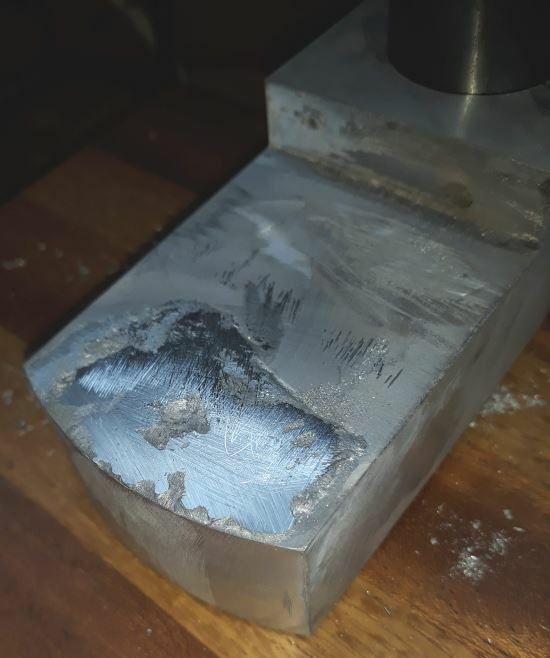 Some jobs are not suitable for TIG welding and a soldering or brazing would be more useful where you can flood a volume with metal. The example here is the bracket that supports the table on my miniature pillar drill. I originally drilled the hole for the table in the wrong place and so the centre wasn’t aligned with the centre of the spindle. 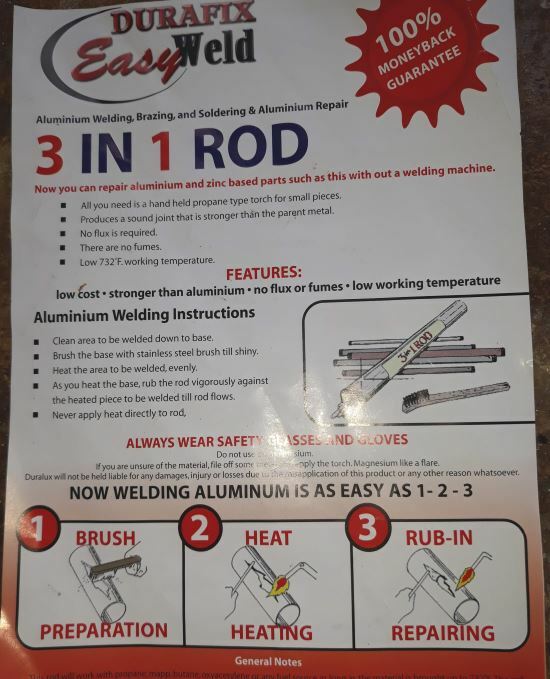 The Durafix easyweld is a low-ish melting point (732°F or 389°C) alloy of zinc and aluminium. You need to remove the aluminium oxide from the surface that you want to material to adhere to. For this they supply a small wire brush, but as I was filling a hole I used some sand paper to clean away the oxide. Once you get the aluminium above the melting point of the Durafix the material flows like a solder. 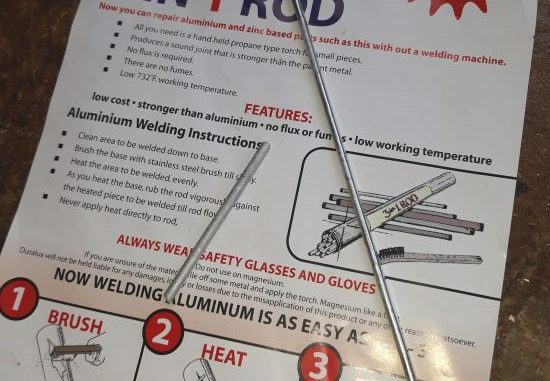 It does take some time to get the aluminium hot enough, but as per when you solder with a blow torch it is best to now and again tap the soldering rod on the part to see if it is hot enough. 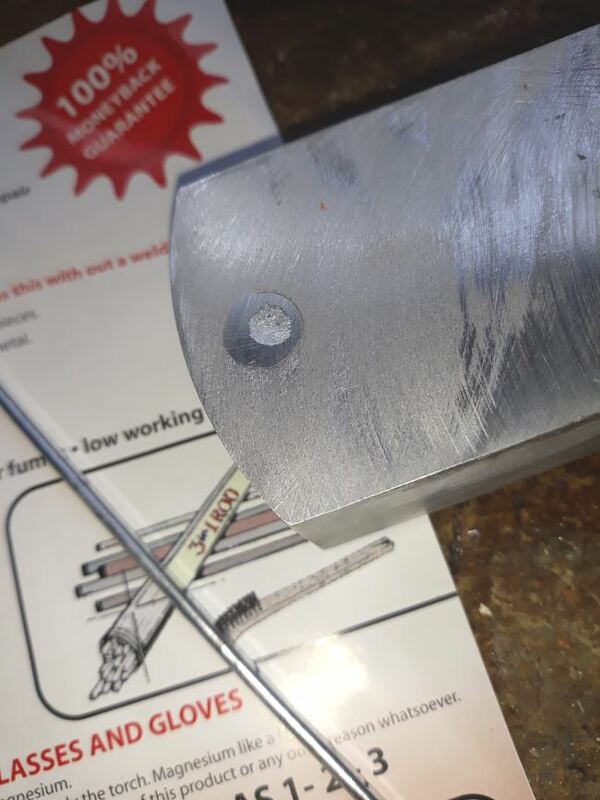 I heated the part (bracket for my small Unimat 3 Pillar Drill) on it’s side and once hot I move the durafix around the hole and effectively coated the inner surface of the hole. I then turned the part upright and placed it on an offcut of stainless steel. This closed off the bottom of the hole and allowed me to easily flood the hole with durafix. I found the durafix rod easily flows on the aluminium, this is amazing as there is no separate flux or flux in the durafix rod itself. 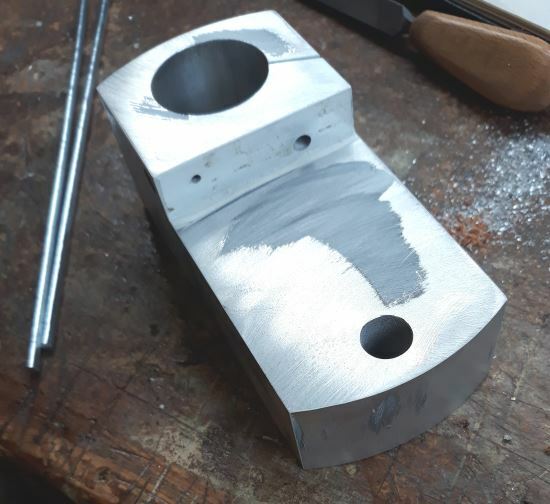 This shows the part after it has cooled and I roughly filed the surface back to a flat finish. You can see how well the material has filled the hole, with a slight pitting where it has shrunk back during cooling. The part after it had cooled and I’d done some initial cleaning up. The alloy is quite tough and resistant to abrasion. The resultant material is easy to machine and the step from durafix to aluminium doesn’t appear to cause any issues with machining.